XCBlog on Apple News Again! Note, we have got “grunt-qunit-junit” and “grunt-qunit-istanbul” to generate coverage and reports. Now, let’s install those dependencies. 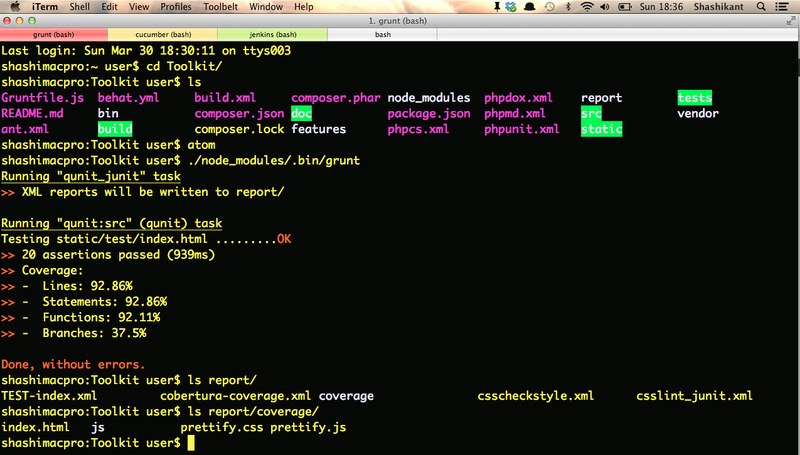 This will install all our dependencies in the ‘node_modules’ directory. We have now configured “quint” task to generate HTML, and coburtura code coverage reports and “quint-junit” task to generate JUnit style reporting. This will create all sort of reports in the ‘report’ directory. Now that, we have all xml reports in the ‘report’ directory and HTML reports in the ‘reports/coverage’ directory. 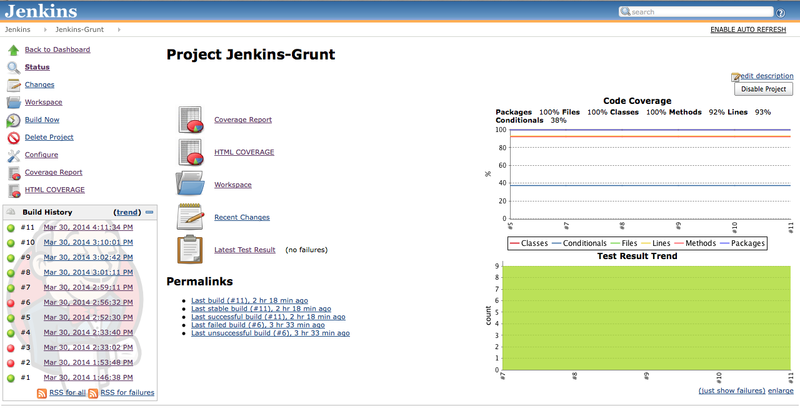 In the next section, we will configure it with Jenkins Continuous Integration server.